I found several examples of places where wolves had been exterminated by hunters, and the result was there were too many deer. That gave me the idea for Wolf Island. Then I found an example of wolves crossing the ice to an island where there were too many moose (Isle Royale in Lake Superior), which gave me the idea for how to end the story. I wanted to bring the island back into balance at the end by returning the wolves. The story begins on an island where the ecosystem is well balanced and healthy. A family of wolves leaves the island, drifting to the mainland on a log raft. With the highest link in the food chain gone, the deer begin to grow in number. Eventually the deer consume so much of the vegetation that the rabbits, mice and squirrels have less to eat. The owls and foxes then have fewer animals to hunt. Soon, all the creatures face starvation. The wolf family was also thin and hungry because they had not been able to establish a hunting territory on the mainland. The following winter when the temperature was very cold, ice began to form on the water around the island and along the mainland coast. When the ice stretched all the way from the island to the mainland, the wolf family travelled across it to their old home. The wolves found many sick and weak deer to hunt. By spring the old food chain had been established and the life on the island had returned to its former balance. To access the students’ prior knowledge about wolves. To have students predict what the story will be about. Display the wolf photographs for the students to look at. Have each student talk to a predetermined partner. Ask them to name what they think are the most important features of a wolf’s body. Have the students report their information to the whole class. List their important features on the chalkboard. The list might look like this: paw, muscles, long legs, jaw, tail, fur (pellage), ears, nose, teeth, etc. Distribute a copy of the directed drawing paper to each student. Draw a wolf on the chalkboard. Have the students draw on their papers following your example. Talk about the various features as you go along. The conversation might sound something like this: “Now let’s add the ears. Did you know that wolves can turn their ears from side to side so that they can tell what direction the sound is coming from without turning around? They rely on their good sense of hearing when they hunt.” When the drawings are finished, use the chalkboard version to model labelling. Label all the important features from the list generated earlier in the lesson. Have the students label their own drawings. Have each student talk to the same partner. Ask them to choose one feature of the wolf that they feel is the most important to its survival. 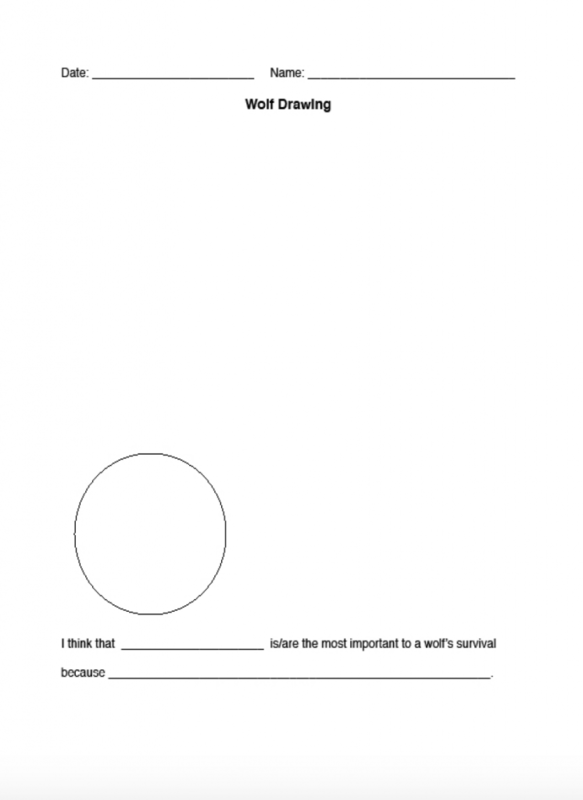 Have the students draw and label their chosen “important feature” inside a circle at the bottom of the page. Have the students stand up and move around the classroom to look at a minimum of five of their classmates’ drawings. Ask them to see if they can find someone else who drew the same “most important feature” as they did. Have them complete the statement at the bottom of the drawing page. 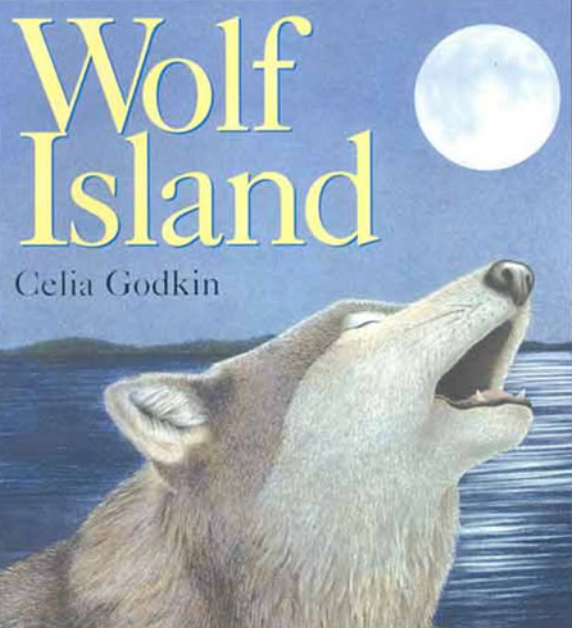 Show the cover of Wolf Island to the class. Ask the students to turn to the same partner and make a prediction as to what they think the story will be about. Have some students share their predictions with the whole group. Brenda has 35 years of classroom experience. She has presented workshops on literature based themes and literacy strategies, and has written a number of resources for teachers. She remains passionate about matching up kids with books. 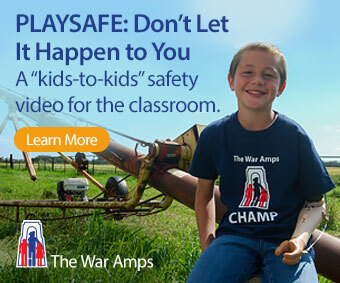 This article is from Canadian Teacher Magazine’s Jan/Feb 2013 issue.